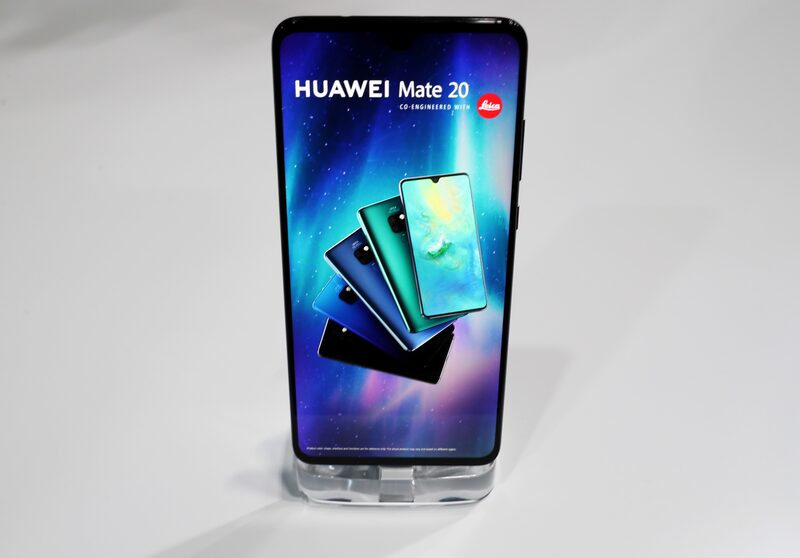 The Huawei Mate 20 smartphone is seen on display at a launch event in London, Britain, October 16, 2018. A British security-oversight board on March 28 reported “significant technical issues” with engineering processes at Huawei Technologies, and said that no material progress had been made on the problems it identified in its previous review last year. The board was founded in 2014 to monitor the work of the Huawei Cyber Security Evaluation Centre – an organisation tasked with identifying and helping to mitigate risks arising from the Chinese group’s telecommunications kit present in Britain’s networks. The oversight board is chaired by Ciaran Martin, the chief executive of Britain’s National Cyber Security Centre, an arm of spying agency GCHQ. Huawei said it took the oversight board's concerns "very seriously" and that the issues identified in the report "provide vital input for the ongoing transformation of our software engineering capabilities". It pledged last year to spend more than $2 billion addressing problems previously identified by the board.